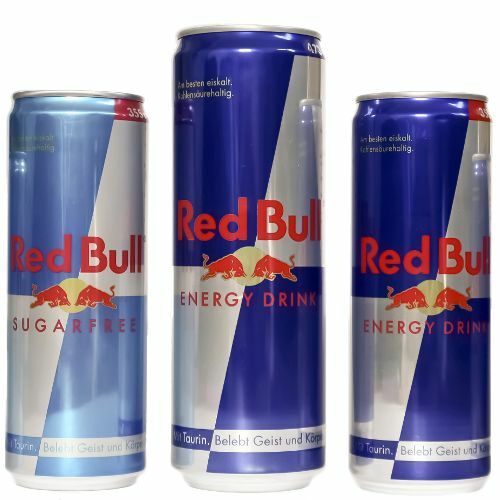 Red Bull has been the most popular energy drink for years and this will most probably stay intact for some time ahead. Everybody from all around the world knows about this ‘wings giving’ beverage, because of the powerful and innovative branding campaigns made by the company. A company that bet everything on just one brand and just one product, and eventually hit the big jackpot. And because its story is really cool, we decided to share it here with you. Like many of the greatest companies in the world, Red Bull was started really small. It was founded by two Austrian guys Dietrich Mateschitz and Chaleo Yoovidhya. Unlike many of the other big entrepreneurs like Larry Page Steve Jobs, Zuckerberg, etc., Dietrich didn’t have the luck to be successful and rich, when he was young. He needed 10 years to graduate from college and when he was 28, he finally got his degree in marketing. After graduation, he found a job and started working 9-5 as most of the people do. His career went well, he worked for companies like Jacobs and Unilever and after a few years, he became the director in the marketing department of Blendax. That job involved a lot of traveling around the world, which was a key factor for the birth of Red Bull. One day, when Mateschitz was on one of those trips to Thailand, he bought a drink called Krating Daeng – an energy beverage that got his attention. He liked it so much, that this was the turning point in his career. The drink was very popular in Asia and Mateschitz saw a nice business opportunity in it. It was manufactured by a company called T.C. Pharmaceuticals, which was founded by Chaleo Yoovidhya back in 1976. He got in touch with Chaleo and persuaded him to become partners. This is how the foundations of the business were laid. So, in 1984, Both Chaleo and Dietrich invested half of million of dollars each to start the new company. Each of them got 49% of Red Bull GmbH, and the remaining 2% went to Yoovidhya’s son. Dietrich was chosen as the president and this is how they actually started. The first version of Red Bull (the drink) was released in 1987, and it was a totally complete product. It was in the well known can in silver and blue. Initially, nobody wanted to buy the drink, but Mateschitz was a marketing professional, remember? After a powerful marketing campaign, the company slowly took off. What did he do? Some really bright moves. He became a sponsor of a kind of weird competition called ‘Flugtag’, in which people tried to fly with homemade flying machines. He saw that his marketing efforts in sport had a good response and the company quickly became a sponsor of famous athletes in different extreme disciplines. He also tried to advertise Red Bull as the best tinner for alcohol. And all of that led to some great results. The energy drink started spreading in Austria like a plague. In 1992, Red Bull started selling in Slovenia and also in Hungry. 5 years later, the beverage reached the coasts of North America. A few years more and the drink conquered almost the entire world. Today more than 4 billion cans are sold in more than 160 countries around the world. Today Dietrich and Chaleo are some of the richest people in the world, each of them having a net worth of more than $4 billion. One of the factors that led to the bright success of the company was that it was laser-focused from its very beginning. I mean super laser – just one product, one brand generated billions of dollars… Who says that you shouldn’t put all of your eggs in one basket? This has been really fruitful for the company for years. Because of this strategy of no diversification, Red Bull got to where it is today. All of this allowed the energy drink to be sold at a premium price with a good profit margin. It’s several times more expensive than a can of Pepsi or Coca-Cola for example while its production cost is nearly the same. This is what a powerful brand allows, and it’s powerful because the management put all of their bets on it.